Tell us about your brand new label! 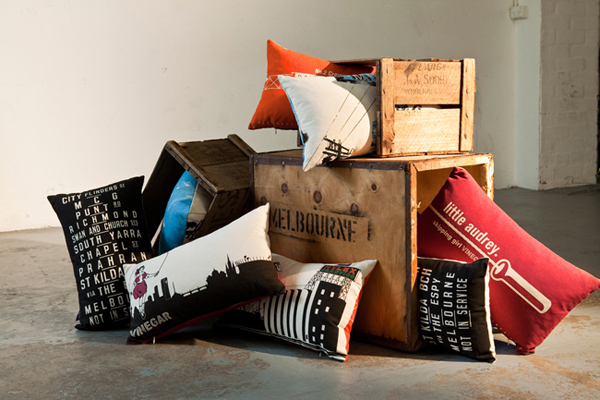 Make Me Iconic is a new line of designer home wears bringing the unsung icons of the city home. And doing it with style. 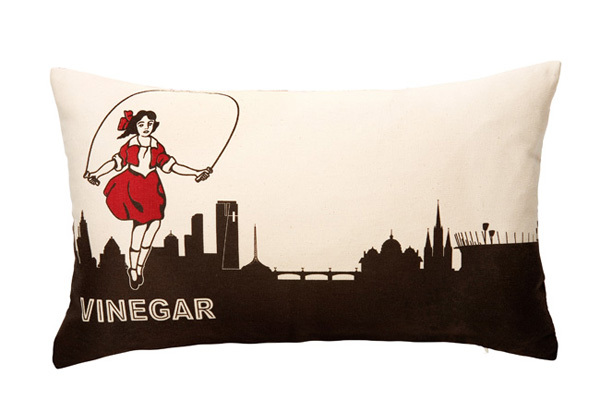 Using a talented team of young, local designers Make Me Iconic has transformed the Skipping Girl and the Hook Turn into contemporary designs that effortlessly blend into the modern home. At the same time we have made it our mission to educate both locals and tourists on the history and facts behind the icons. What is your backgrounds and how did you come up with the idea for Make Me Iconic? It all started with an idea… well two actually. We returned home to Melbourne at the end of 2008 after an extended (10 year!) stay in Europe. Immediately we fell in love with the city again. How could you not? The city has so much to offer that is unique, stylish and contemporary we wanted something in our home that brought those elements to life. Sadly, there was nothing to be found. We had great souvenirs from London, but nothing to represent Melbourne – the city we grew up in and once again call home. We knew we weren’t the only ones that love this city and guessed that we weren’t the only ones that wanted to take a part of it home. So the seed was sewn. We would find the best young, local designers to help us represent some of the unsung icons of the city. We knew what the icons were but didn’t know much about their history. So we decided to educate ourselves and our customers about the history of each icon and give them facts about what makes the icons unique. 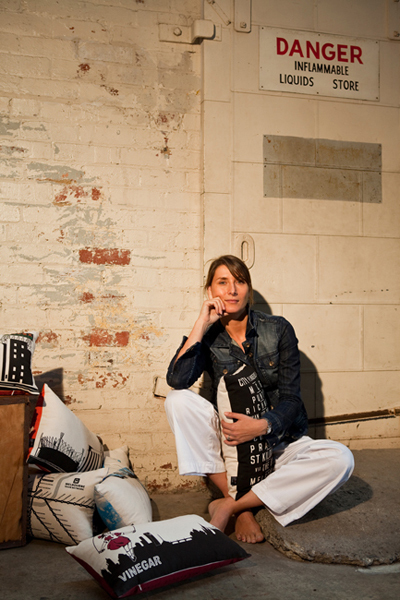 So with unsung icons and urban education in mind – Make Me Iconic was born, launching our first range of products in December 2009. My background is marketing and branding. I worked in London as a marketing communications manager and brand manager for 10 years. Basically the city of Melbourne keeps me inspired. It feels so good to be home again and it’s like discovering a whole new city all over again. I love all the quirky shops and the hidden alleyways. When I get time – I love just walking around the city and taking photos. I also keep a scrap book of ideas from things I have seen in magazines or photos. What’s the most challenging part about running your own business? The hardest thing is actually just starting and putting a “stake-in-the-ground”. Sometimes you get so caught up in the developing of the idea and how you are going to do it – and just need to press the button and go for it. The best advice I can give someone is to just make sure you product is differentiated from your competitors, always deliver great customer service no matter who they are and get to know who your customers actually are. Why do you think working with Melbourne icons is important? I absolutely love Melbourne. After being away for so long I appreciated Melbourne even more. As soon as I came back there with things that I loved seeing again. I remember as a young school girl rowing along the Yarra River and constantly checking the Nylex clock to see what the time and temperature was. The Nylex is such an important building to Melbourne and I classify it as a true unsung icon. It’s not until you mention Nylex to someone or until they see the beautiful illustration we have of it – do people then get it and then say “oh, the Nylex is really cool”. Also, Melbourne is all about the less obvious and more about the hidden treasures. Where do you want to take the brand in 2011? 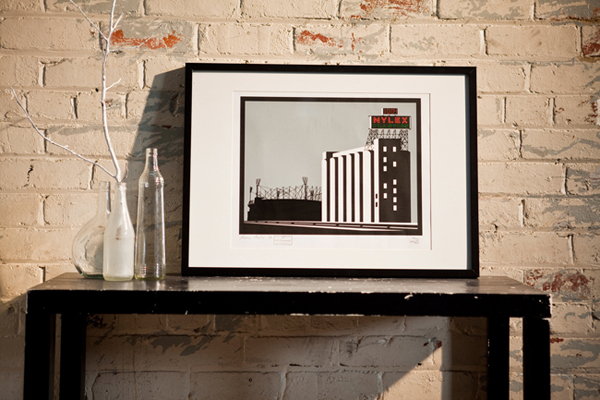 Make Me Iconic is transforming the unsung icons of the city into stylish and contemporary home wears and souvenirs. Everyone knows the landmarks of their own city. Tourists see them in photos; locals accept them as part of the backdrop to their lives. Icons are different. These are the unsung heroes of a city, things that locals not only accept, but grow to love. Of course we chose Melbourne first (because we live there) it was only natural for me to then do Sydney range which I hope will be out by the end of the year. We are also launching into kids traditional wood toys which is also pretty exciting. 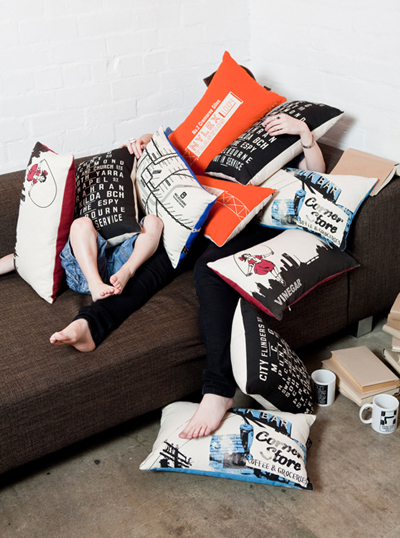 I live in Richmond, and I so so want one (or 3) of those cushions. I’ve been coveting them since I saw them at the Finders Keepers last year. They’re so awesome! Saving my pennies to buy them. Excellent work! It would be great to see the iconic facade of the GTV-9 building in Richmond incorporated into one of your designs, if it isn’t already, especially now Nine are packing up shop and moving to Southbank! 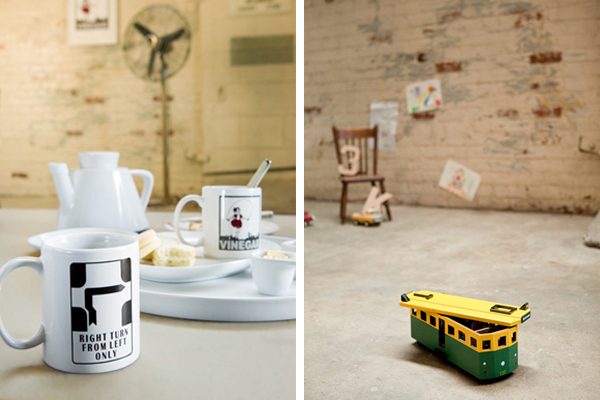 The hook turn mug makes me smile, a true Melbourne icon!